Premium Jane’s CBD Gummy Bears are potent gummies each containing 25mg of 99% pure CBD isolate. Buy these CBD gummy bears to enjoy their relaxing, stress combatting effects to get relief from pain and fatigue. · Relieve pain: Extensive research has shown that CBD can alleviate or curb certain medical conditions. The cannabinoid from the Gummy Bear binds with the human endocannabinoid system (ECS) quite well. The CBD interaction with the ECS reduces the feeling of chronic pain by reducing inflammation and interacting with various neurotransmitters. Whenever you have aching joints, consider taking CBD Gummy bears. · Reduce anxiety and depression: Anxiety and depression are devastating mental health issues that affect the overall health and wellbeing of a person. CBD mimics a signaling molecule produced by the nervous system to stimulate the production of the hormone serotonin. This hormone is responsible for improving mood. Persons who have developed anxiety disorders should consider keeping some CBD Gummy Bears within an arm’s reach. · Fight toxins: These gummies are powerful antioxidants. Antioxidants attach themselves to dangerous molecules in the body and destroy them. Studies have shown CBD to be 10x more potent than the antioxidant effects of Vitamin C. Next time you think of detoxifying, just order some CBD Gummy Bears. · Relieve sleeping disorders: Users who experience insomnia have shown an improvement in their sleeping time thank to the use of CBD gummies. People who have sleeping disorders can order CBD Gummy Bears to get a good night’s sleep. · Improve skin problems: Cannabidiol gummies are known to improve skin conditions such as acne. Purchase CBD Gummy Bears for smooth and flawless skin. Quality: Premium Jane’s CBD Gummy Bears are pure CBD isolate, which means they do not contain THC. Therefore, the effects that these edibles have on you are different than smoking or vaping marijuana. The product’s content and purity have been substantiated through third-party lab reports, ensuring that claims about the product are proven and verifiable. Effect: These organic CBD gummy bears are not formulated to treat illnesses. However, most users agree that they offer relaxation, just like any other form of cannabidiol. Regarding dosing, it is recommended that a user starts off small, gauging the effect it has on you as an individual, and successively increasing the amount consumed until positive results are noticed. It’s important to note everyone is unique and therefore the experience will have different results unique to the particular user. Price: Most verified purchasers of CBD Gummy Bears say it is reasonably cheap. 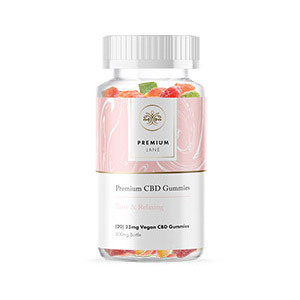 You can buy CBD gummy bears 25 mg online at a discounted price of $35.00 at https://premiumjane.com/cbd-gummies/. The pricing may however vary depending on the size of the package of gummy bears. Final thoughts: The CBD Gummy Bears have no side effects and do not alter one’s state of mind. They work gently within 30 minutes and deliver relief from pain and anxiety. These CBD Gummy Bears are legally made and are legal to order and consume in all 50 states of the USA.